Once again Waters & Stanton sponsored the Science Prize at the Greensward Academy Year 11 annual awards evening on. This year held at the Cliffs Pavilion, Southend on Monday, 21st November. A plaque, certificate and cheque for £25 were presented by Jeff Stanton to the winner, student Samantha Ellis. In the next couple of weeks we will be installing an EME 2m antenna system as part of a new demonstration facility. 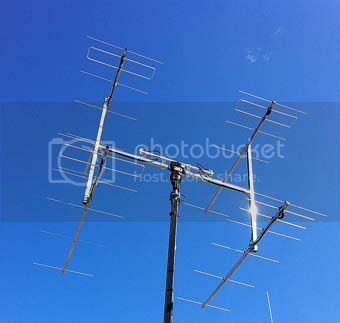 The system will comprise 4 bays of 6 element LFA Yagi antennas from InnovAntennas. This will provide just over 23dB of forward gain and will easily handle full UK power limit – and beyond. The plan is to feed this via a Discovery 2m linear amplifier from UK Linear Amps. The array will be steerable using a Yaesu G5500 Az/El rotator. The call sign will be G0PEP. 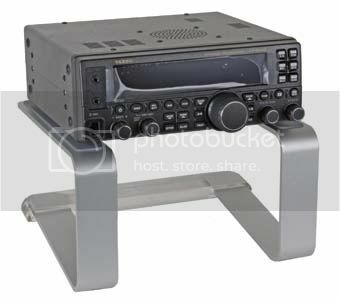 It is often difficult to see all the knobs on a modern radio when it is sitting at waist height on a desk. How much easier it would be if it was raised up. So here is a natty idea, the “Elevator” let’s you operate at a comfortable height. It is shown here with an FT-450 on top. The approx size is 24W x 14H x 25D (cm). It is made from brushed alloy and looks great. Non slip surfaces are on top and bottom. Minimum width of the radio needs to be approx 21cm. Call 01702 203353 for further information and availability. Readers will know how impressed I have been with the new range of InnovAntennas made here locally not far from Hockley. They are the brainchild of Justin Johnson, G0KSC. My own QTH is not VHF friendly, situated as it is at the bottom of a hill. But no matter, I decided to try one of the smallest VHF antennas, the 2m 4el. LFA. 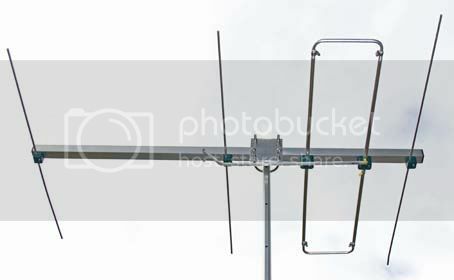 To make matters worse, I could initially only get the antenna 15ft above ground, so in some directions the house shielded it and in all directions neighbour’ houses were not that far away. However, I hooked the radio up to a rather battered IC-706IIG and tuned around the bottom end of 2m on SSB and CW. Over the weekend I actually managed to work several G stations. The furthest north was in Leicester, perhaps 150km, and I managed a few ON and DF stations. All this on a very flat band and a poorly sited antenna. What did impress me was the excellent F/B ratio and extremely low side lobes. I was able to easily overcome any local noise issues provided they were not in the same direction as the antenna. The VSWR was almost flat and certainly no problem in operating across the 2MHz available bandwidth. Construction as I have said before on this blog, is superb and if you move up to the 6 element version and erect a “box” of four Yagis with the appropriate splitter, you are pretty well equipped for EME work. I did experience one annoying noise problem when I was working into western Europe, but this turned out to be an internal source in my home music studio. Once tracked down and turned off, the band was quiet! Many readers of this blog will know that W&S have an ongoing issue with the RSGB concerning the RSGB Convention that we have been banned from attending for many years. This, despite the fact that we have contributed over £1.5M to the Society in income, made many donations, supported Club of The Year and given our time and equipment free when we fitted out the GB4FUN vehicle. Early this year, we learnt that the Society had lied to us about the reason why W&S had been blocked from the Convention. It was not, as they had for years claimed, a binding written agreement they could not get out of. The truth was it never existed! But immediately the RSGB found out that their secret had been leaked to us, they signed an agreement that locked W&S out for all time! And so began a new chapter in what many are now naming, the “Secret Society,” under the temporary management of Don Beattie. The watershed that occurred within the Society early in 2011 provided the opportunity for the new management to come clean about this long term issue and resolve it. It did not happen. In fact it got worse. Don Beattie, in company with the current President visited us and told us that W&S could not appear as a retailer nor could they appear as any manufacturer’s appointed UK distributor. They reluctantly admitted that they had signed an agreement early in the year, banning us. (Don Beattie refuses to let us see the wording on which he hangs his argument). Draw your own conclusions! Then out of the blue, a few weeks later, Don Beattie told us we could after all attend. But when we attempted to mention this in a RadCom advert, Don Beattie stepped in and blocked it! He was later to deny that he had said we could attend the Convention which is rather strange when we have the email! Subsequent emails from us to the Society were largely ignored, the current way of dealing with Society position on the matter. Eventually we managed a phone conversation with Don Beattie where he appeared to make a somewhat confused and muddled explanation that we could not attend, even as representatives of the products for which we were the appointed exclusive UK distributors. But if we were for example, American, that would be fine. Bob Heil was not impressed! Other UK companies who were exclusive UK distributors, were however allowed in. But under no circumstances would W&S be allowed to attend. As there is no logic for this action one has to question the Society’s motive. Who in the Society has such a motive? Don Beattie also blocked a recent advert when we attempted to explain that we could not be at The Convention after all. So much for The Open Society! We have, like most, experienced the good times of The Society, when it truly was a Society promoting the hobby and representing the majority. Since then membership numbers have declined and many of the hard working loyal staff and volunteers have drifted away for various reasons. So why can’t we get back to an open and honest Society? Several former presidents and officers have openly registered their dismay at what they are now seeing happen to The Society. Perhaps it underlines the fact that job qualifications such as previous experience in large multi national companies, don’t necessarily translate into the ability run The Society! Operating at grass roots level is a different ball game. The task requires a diversity of social and organisational skills and the ability to motivate and work with volunteers. In the meantime we can only hope that the heavy veil of secrecy over certain recent actions within The Society, will be lifted and The Society will once again become a truly representative organisation that members can trust and rely upon. One that works for the hobby and embraces transparency. Sadly 2011 was not The Year! One thing that The Society needs to understand is that Waters and Stanton will continually campaign for The Society to tell the truth as to why we have been banned from attending The Convention/ Who in The Society was responsible. What does the agreement actually say and who composed it? On paper it is a simple question, but one that the current management cannot, for whatever reason, bring themselves to talk about. That for everybody has to be a worrying situation. We are now able to ship this new item. We have limited stocks and the next shipment will not arrive until well into December. 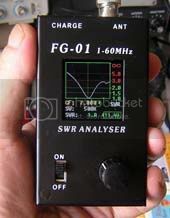 The FG-01 has a colour display and covers 1 – 60MHz with dual traces for VSWR and impedance. Scan widths go in steps from 10kHz to 50MHz. The messages are flying around the internet, with growing concern about the RSGB and the coming EGM. Yesterday at W&S we had our coming December advert in RadCom yet again challenged by the acting General Manager, Don Beattie. He demanded we change it or he would take it out himself! He is super sensitive to us mentioning anything that relates to the RSGB Convention – an event that the RSGB blocked us from attending. An event that the RSGB lied to us about for many years, claiming there was an agreement in place. There never was – an RSGB staff member let it slip to us. Why do the RSGB want us locked out? They won’t discuss it. We asked Don Beattie to be open and honest. He does not respond. We ask Don Beattie about a phone conversation we had about the Convention six weeks ago. He claims he does not remember it? So what is the honest truth about the Convention? Sooner or later somebody in the Society will break their silence and spill the beans. Is honesty such a difficult thing for the Society to handle at the moment? 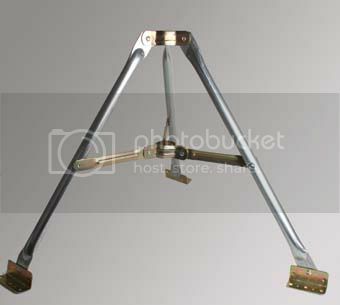 The little 4 element 2m Yagi from InnovAntennas has an amazing performance. This little beauty boasts a 29dB F/B ratio. That’s right, a full 29dB! The standard of construction (common to all InnovAntennas) is staggering. No lossy balun transformer. These antennas are designed to give 50 Ohms match by the use of the loop driven element. The ends are 180 degrees out of phase which means the side lobes are well down. The net result is a high performance 9.5dBi gain antenna with extremely low noise. And the price? – – just £74.95. You are currently browsing the Waters & Stanton Blog blog archives for November, 2011.